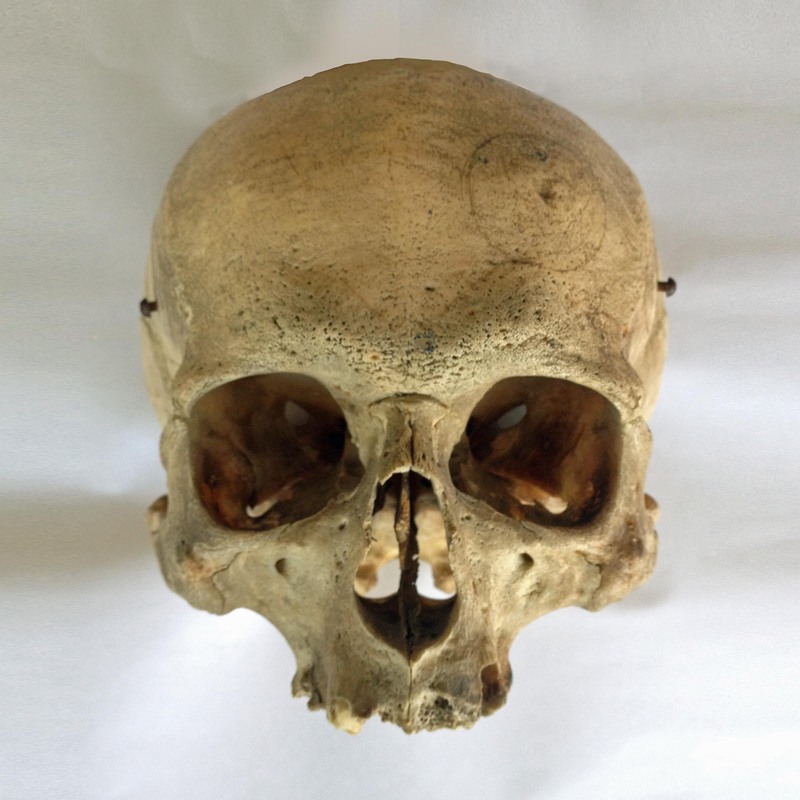 Real skulls are so fascinating. 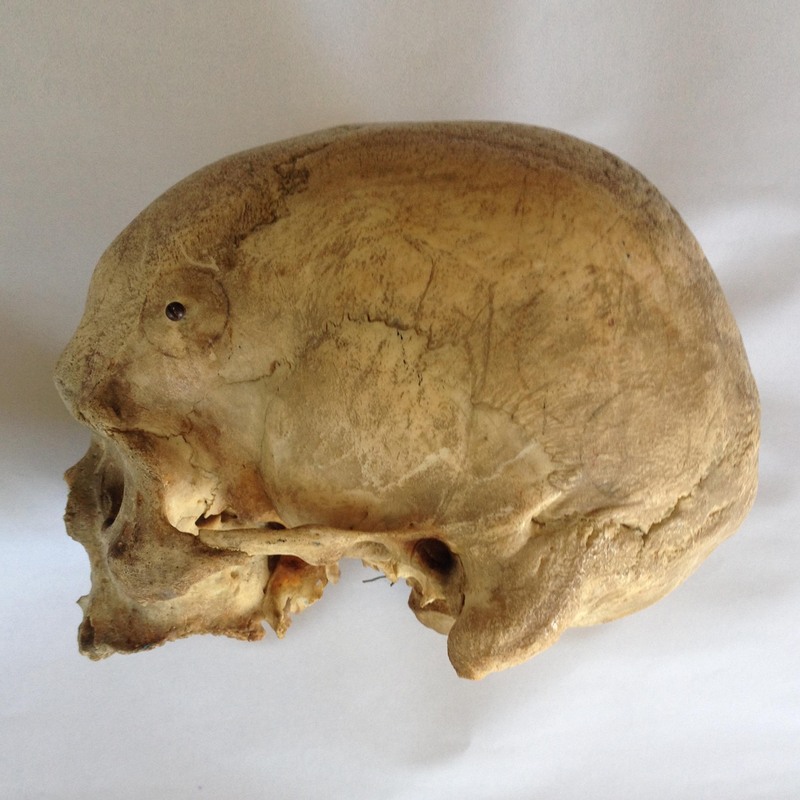 I took these pictures of a newly acquired skull at the Da Sein Institut recently. There is a torsion across the occiput, notice the uneven shape of the foramen magnum. You can easily make out the borders of the temporal bone and the large mastoid processes of the temporals. And square eye sockets, bizarre. 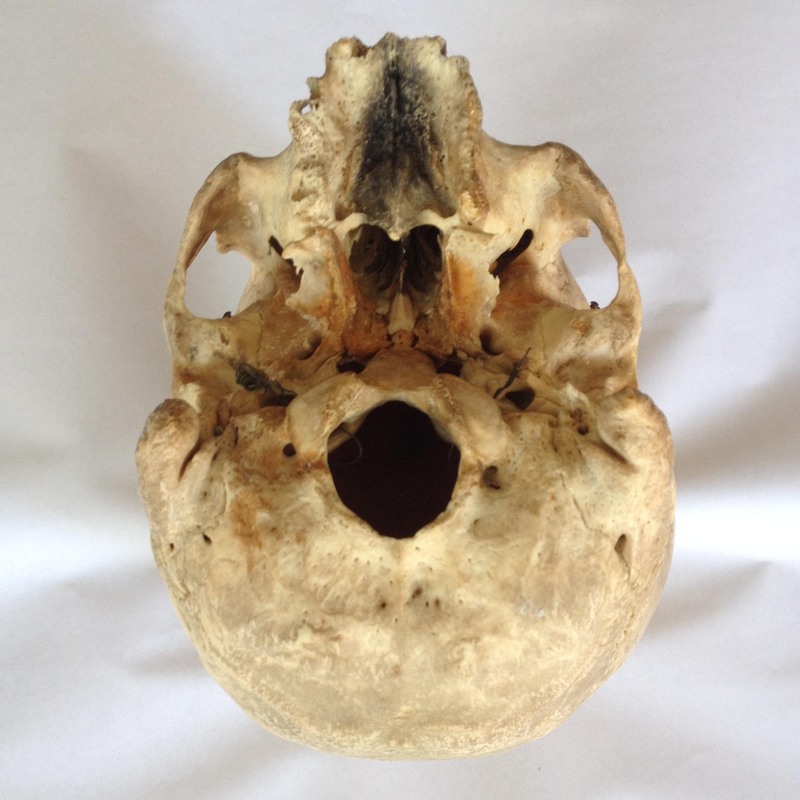 This skull has a condylar canal on both sides – first time I understood that bit of anatomy could exist. You can see the canals in the middle image, posterior to the occipital condyles. Thanks for posting these, Steve, they are so beautiful. Hi Steve, do you know, why there are scratches and circles on the skull? How old is the skull? Not sure how old or the history of the scratches I am afraid. Hi Steve, any clues about those amazing eye sockets?